A man who planned to end his own life in a clinic in Switzerland has deferred his decision after being encouraged to seek more support. 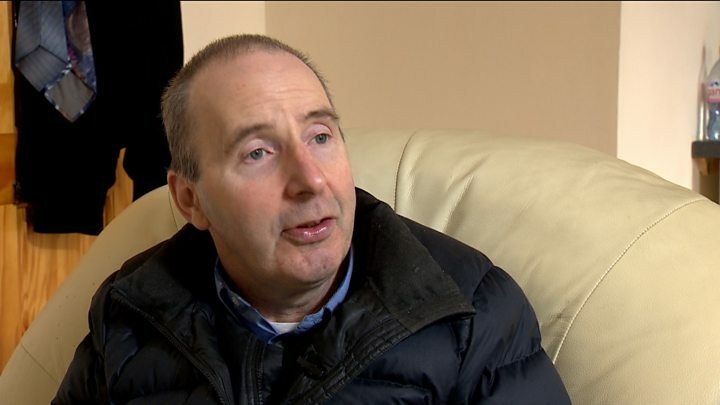 Colin Campbell, of Inverness, has primary progressive multiple sclerosis and told BBC Scotland last month that his health had rapidly deteriorated. He has now said he may not attend the Swiss clinic after another MS patient encouraged him to press for more help. NHS Highland said support was tailored to individual patients' needs. Assisted suicide is unlawful in Scotland. A move to change the law was defeated in a vote in the Scottish Parliament in 2015. Mr Campbell, 56, who was booked to go to a clinic in Basel next month, was first diagnosed with MS when he was 34, but had previously suspected he had a health condition because of a deterioration in his ability to play sports. He told BBC Scotland that he has deferred his decision to explore his options of better support and the possibility of stem cell treatment. He told the BBC earlier: "How people should be looking at this is 'Colin is worn out with having had this incredible progressive illness'. "'His death will give him release.'" Mr Campbell uses a walking frame to move around his flat and a wheelchair when travelling outside his home. He formerly worked in IT, still has use of his hands and plays the guitar. However, he fears he will reach a point where he can no longer use his hands and will be unable to feed himself. Since expressing his intention to end his life, Mr Campbell has been contacted by fellow MS patient Rona Tynan. She has offered to help him seek appropriate help to improve his quality of life. She said: "It was extremely important that I made contact with Colin and I'm so glad I saw him on the television. "What alarmed me about Colin was, I felt he was more able than myself. "I was very, very concerned that he'd made his decision when it was maybe horrible weather. The winters are long when you've got MS."
Among the practical measures Ms Tynan has helped Mr Campbell with has been a test drive on a mobility scooter. It is one of the things he said had prompted him to look again at his plans. He said: "This has given me some kind of optimism which I definitely didn't have - so I owe that to Rona. "There are a lot of people that are forgotten who need a lot of help and are unaware that there is help. "That's when people like me think they're off to Switzerland." A spokesman for NHS Highland said: "After diagnosis the support provided to our patients is tailored to suit their individual needs and is very much driven by them. "Once MS is confirmed, each patient is contacted by one of our MS specialist nurses who goes through options and details the wider support that is available to them in the community." How did MSPs vote in the Assisted Suicide Scotland Bill debate?